I've been on hiatus, sorry. Well it's October, that means I can come out of my cave after hiding from the misery of a 100 degree summer. Yes, I'm one of those freaks that revels in the oncoming of Halloween like it's Christmas. Draped in black or no, I've always been that way. I'm spending a great deal of time lurking down the aisles of local stores looking through decorations. My interior decor will probably consist of nothing but cheap skulls and fake gravestones by the end of the month. Anyways Music, Fashion, and the occasional book and film are still the name of the game for Dead and Re-Buried, so here's some recent purchases, wants, inspiration, and going ons. If I can find someone to grab me these Jimmy Choo for H&M combats I think I'll be happy for awhile. I'm addicted to draped pieces. I'm also looking for the perfect motorcycle jacket this fall. I've grown a bit tired of mine. Suggestions are welcome. The line up also consists of a Cape or Cloak for Halloween or just you know, whenever. Yes, I've been reading a lot of Anne Rice and listening to The Damned. 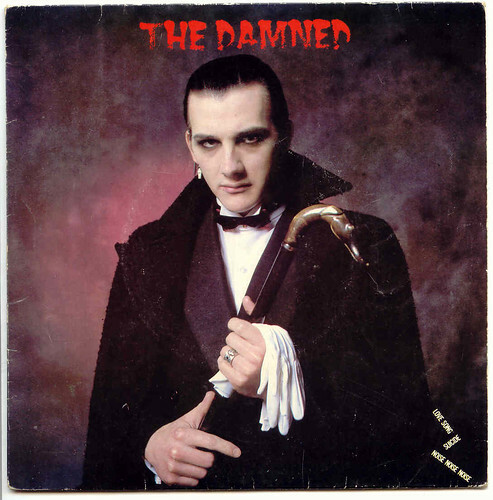 Dave Vanian trumps Nick Cave for Idol worship. Music obsession for the past couple months has centered almost solely on Cold-Wave. Asylum Party probably being my favorite band of the movement. That being said the next installment of Danse Macabre is in the works so expect a new mixtape soon! Also if you're in the Dallas area don't forget about my new night "Black Fridays" which falls on the 9th, 23rd, and Devil's Night(The night before Halloween) this month! and of course the hunt for the perfect motorcycle jacket. I am currently waiting on a kids size one I purchased online, it's pretty generic but it's hard to find a fancy vintage battered JAMC one in kids size! thanks for the tip on the combats...amazing. I see a trip to H&M in my future.